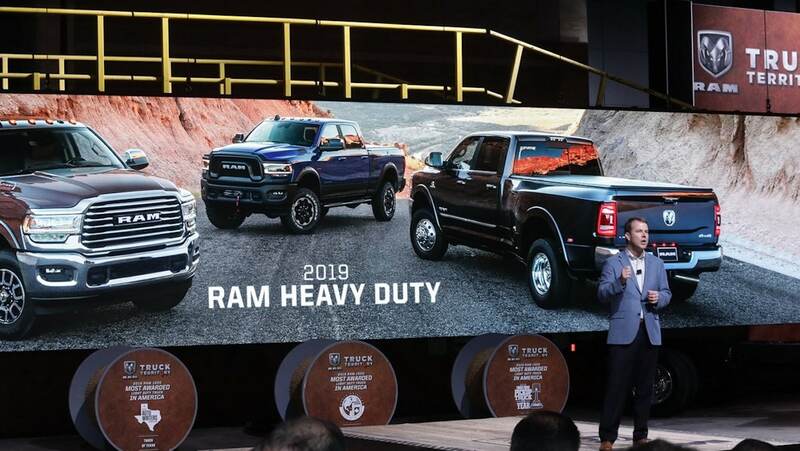 With a segment-leading towing capacity of up to 35,220 pounds, the highest Gross Combined Weight Rating of 43,000 pounds and payload up to 12,510 pounds, Ram’s haulers are built for heavy-duty work while achieving new levels of efficiency and upfitter friendliness, Morrison said. 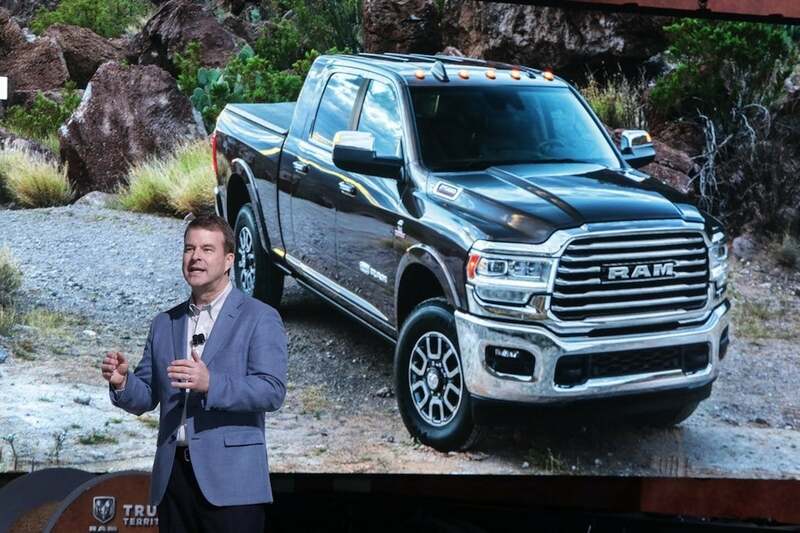 Adding to its leadership in technology, the new Ram Chassis Cab is the only truck in the segment to offer adaptive cruise control, Forward Collision Warning, Automatic Emergency Braking (AEB) and AEB with trailer brakes on all trim levels, Morrison said. “The owners of these trucks want to keep their employees safe,” he said. 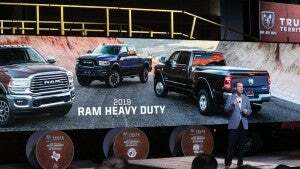 Ram is looking to draw a diverse group of buyers for its heavy-duty trucks based on various capabilities. “One of the reasons trucks have become so popular is that the technology has made them more accessible,” added Morrison, noting the changes have made trucks easier to use for everyday driving. The 2019 Ram Chassis Cab also offers a 12-inch reconfigurable touchscreen display with SiriusXM. The standard engine in the 2019 Ram 3500/4500/5500 Chassis Cab is the proven and potent 6.4-liter Hemi V-8 with up to 410 horsepower and 429 pound-feet of torque. It also now employs exclusive Fuel Saver Technology cylinder deactivation to increase fuel economy. In the Ram 4500 and 5500 Chassis Cab, the 6.4-liter Hemi V-8 is paired with the Aisin AS66RC electronically controlled six-speed automatic transmission with optional Power Take-off and an interactive Deceleration Fuel Shut-Off, which stops fuel flow to the cylinders when decelerating, to improve fuel economy. Changes to the Cummins diesel engine available on the Ram heavy duty include a cylinder block made from compacted graphite iron. Using compacted graphite iron produces a block that is stronger and better able to dampen vibrations. Overall, the new Cummins Turbo Diesel weighs 60 pounds less than the previous-generation engine. A new cast-iron cylinder head builds on the new block with changes that include new exhaust valves and springs, and new rocker arms driven by a hollow camshaft, contributing to the weight savings. Changes to the Cummins Turbo Diesel also include a new oil pump and water pump with lightweight-aluminum housings. Morrison shows off the Ram's multifunctional tailgate to the automotive media. The 2019 Ram 3500/4500/5500 Chassis Cab offers customers three different automatic transmissions, including an eight-speed. Light-weighting efforts include an aluminum hood, which contributes to an overall weight reduction of 120 pounds. A best-in-class Vehicle System Interface Module is capable of communicating between aftermarket modules and various factory control modules. Ram Chassis Cab trucks come in four industry-standard frame lengths measured in inches from the cab to the rear with upfits in mind. The Ram Chassis Cab rear frame sections feature a C-channel design with flat mounting surface — zero component interference above the rails, making upfit and accessory design/installation easy, cost-effective and reliable. Ram Chassis Cab offers a cargo-view camera allowing owners to monitor the upfit and/or payload in the rear of the truck. The system also aids hookup with fifth-wheel and gooseneck hitches. 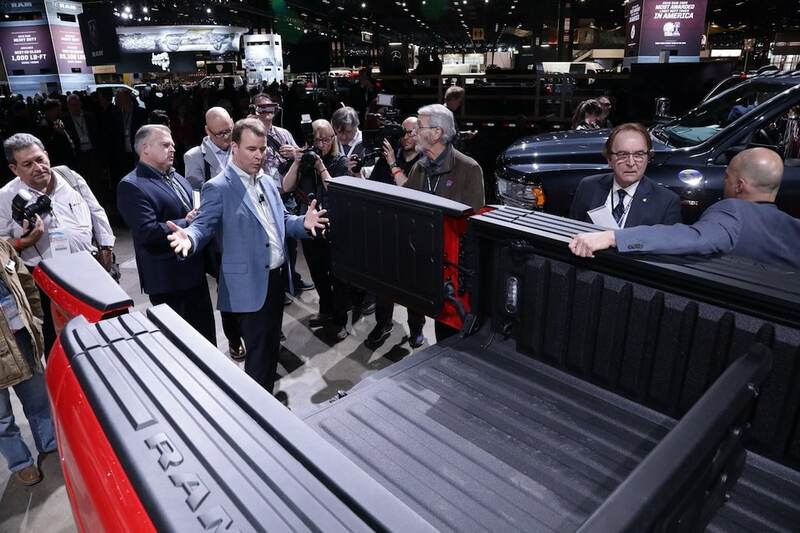 This entry was posted on Friday, February 8th, 2019 at and is filed under Auto Shows, Automakers, Business, Chicago, Executives, FCA, Markets, Personalities, Pickups, Ram, Safety, Safety, Sales, Sales, Technology, Technology, Trends, U.S./North America. You can follow any responses to this entry through the RSS 2.0 feed. Both comments and pings are currently closed.